Upper abdominal pain is a common health condition characterized by severe or mild pain felt in the umbilicus up to the rib cage’s lower margin. Recurrent or sudden aching in the upper part of the abdomen can be caused by injuries, disorders or diseases. To ensure the safety of patients who usually feel the pain, it is necessary for them to know the symptoms that require them to go to medical clinics or hospitals and ask help from physicians. By doing this, doctors can perform different tests to identify which organ in the upper abdomen is affected or injured. 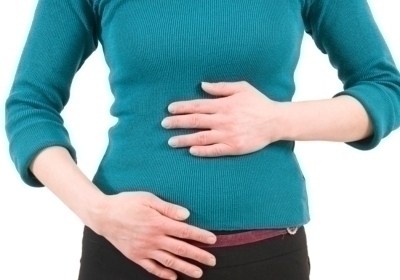 To know more about upper abdominal pain, discussed below are the symptoms, causes, diagnostic methods and treatments recommended for the condition. Patients are advised to call the ambulance immediately, if they have fainted and they experience sharp, severe and stabbing pain in the upper part of their abdomen that lasts for more than five minutes because it can be related to life-threatening injuries and chronic diseases. Individuals who feel dull aching in the lower part of their front rib cage accompanied with vomiting and fever should call their physicians right away since it can be caused by serious illnesses like irritable bowel syndrome as well as food poisoning. Patients who are above 60 years old and who are suffering from recurrent but mild pain can seek help from health professionals within 24 hours. The pain in the upper abdomen can be caused by various factors such as trapped wind, indigestion, constipation and heartburn. Aside from the mentioned causes, the condition indicates other diseases that should be diagnosed and treated right away like hepatitis, gastritis, pancreatitis, cholecystitis as well as biliary colic. Other diseases related to the pain include kidney stone, bowel cancer and ureteric stone. In order for medical professionals to detect the true cause of the illness, there are some diagnostic tests that they need to perform such as urinalysis, blood tests, pelvic ultrasound and X-ray. To ensure that the findings are right, physicians can use more advance techniques like the computed tomography, colonoscopy and endoscopy. To relieve the aching that patients feel, there are some first aid treatments that they can try. These include taking antacid and applying hot pack on the upper abdomen. In addition to these, they are encouraged to practice bland diet until the pain is gone and avoid drinking beverages that contain caffeine.